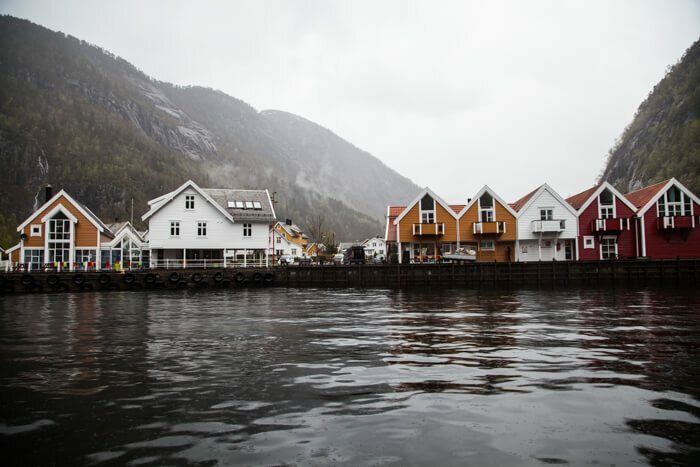 Modalen is a magical little valley just an hour outside of Bergen. This quiet little valley is so quiet that you can actually get paid to live here; they need more people. We stopped by Bergen kaffebrenneri in Bergen and the barista suggested we head out here for a drive. It was a beautiful destination. 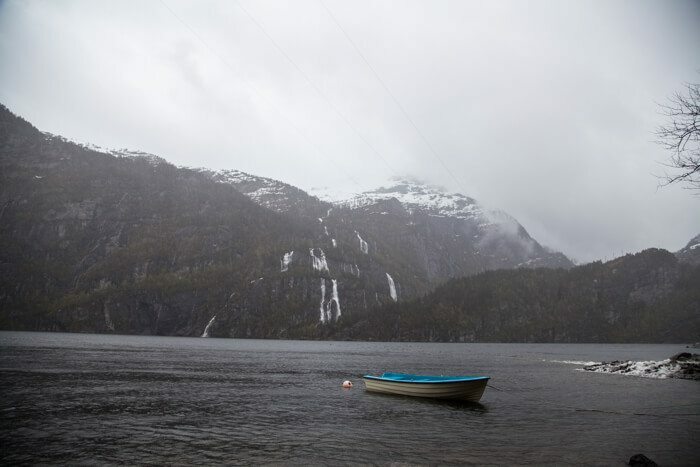 Modalen is a great starting point for trekking in Stølsheimen, with access to many backcountry trails and cabins. 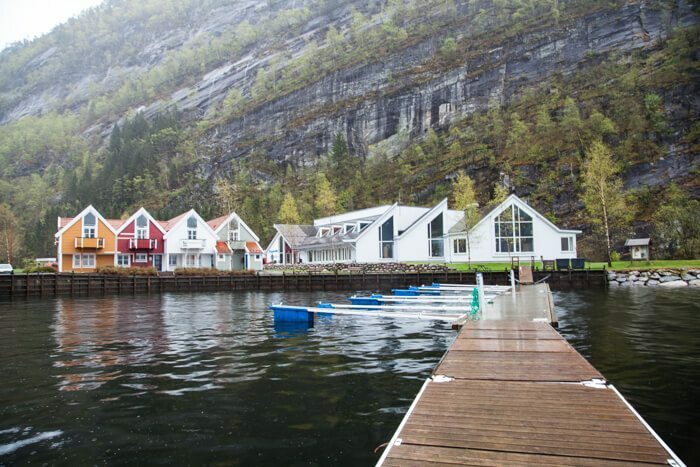 Seriously, have you seen Norway’s cabin system? It’s awesome. There are also tons of day hikes in the area, some of which are outlined here. We were still pretty beat from all the traveling done over the past few days, so no hiking was had. The town of Mo, pictured here, sits at north end of Mofjorden. 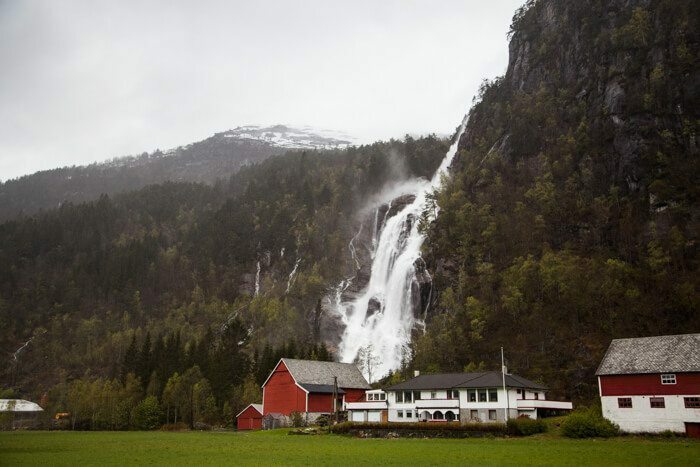 Two waterfalls—Kvernhusfossen, above the farm, and Geitaskardet, into the fjord—cascade majestically near the town, making it incredibly picturesque. 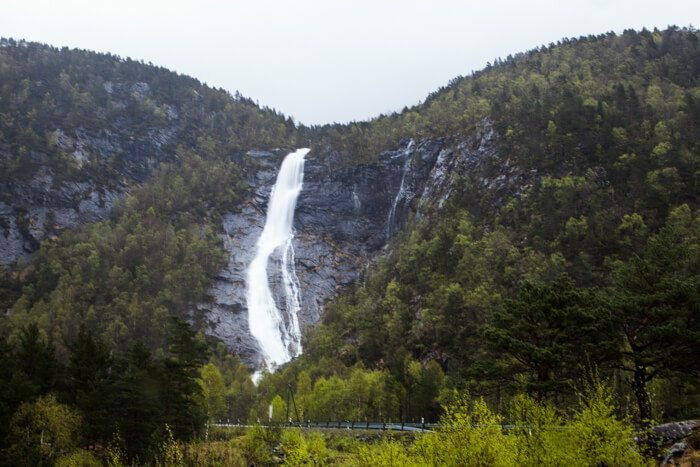 If you’ve got some time to kill, take the drive out to Modalen. You won’t regret it; it’s scenic.